How many times do you check your phone weekly? Or say hello to strangers? How do you spend your time alone? 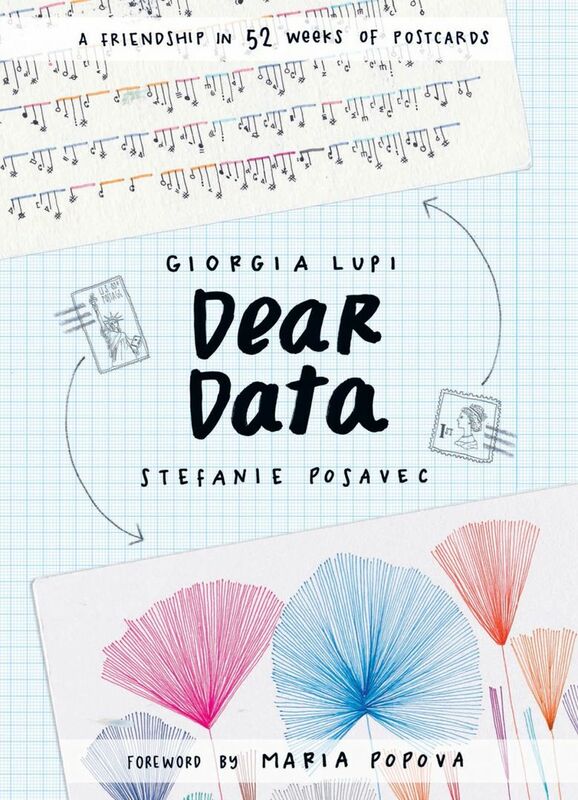 The answers to those questions — and many more — are illustrated by hand in the data-visualiza­tion memoir “Dear Data,” by Giorgia Lupi and Stefanie Posavec. In a yearlong correspondence project, Lupi, an Italian living in New York, and Posavec, an American living in London, exchanged postcards each week about a different aspect of their daily lives. One week they tracked their spending habits, another how often they swore, another the things they found beautiful. “Dear Data” paints a human portrait with data. With each graph and information map, we get a deeper sense of the authors’ personalities. What emerges from this information overload is a fascinating catalog of the complexity of daily living. By tracking such minutiae, Lupi and Posavec, who both work in information design, reveal the patterns that inform our decisions and affect our relationships. The book works best when visualizing the many aspects of life we often ignore. For example, the authors compile everything they’ve bought during a week. One particularly memorable selection illustrates the authors’ emotional well-being by listing when and why they felt stressed, happy, excited, nostalgic and so on. Written out, such diary entries may have come across as ho-hum. But by surveying this emotional catalog in its easy-to-read, graphical format, we can see the authors’ data collection in our own selves and uncover correlations that may have been hidden. We live in a world obsessed with big data. But “Dear Data” harks back to a more nostalgic era when we deliberated over the information we took in and offered to others. Let’s call it Slow Data. “To draw is to remember,” the authors write, and their book reminds us that physical documents can be a time capsule we continually pore through long after Facebook and Instagram have made way for the next internet flavor of the month.